Isabel Radage studied psychology at London University and subsequently art and design at The City Lit Institute, London. She has worked for 20 years as an animation artist on TV commercials, series and feature films. Recently, she has concentrated on still photographic work with ensuing success. 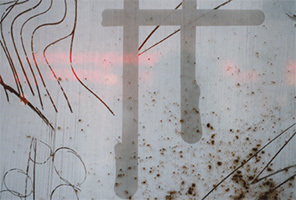 In 2002 the image Clacton #1 was one of a handful of photographs chosen for the Royal Academy Summer exhibition. The following year, nine images were included in the ARTfutures show, an annual showcase of up and coming artists selected by the Contemporary Art Society. In 2005, a second image, 'Cakes in a window' was included in the Summer show at the Royal Academy and she completed a postgraduate course at St Martin's School of Art in London. She continues to develop her work in different formats.